How to break or split a given URL into various parts like Host, protocol, relative path, end file , directories etc? 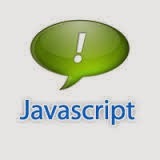 A simple JS function is given below which uses window.location object to retrive parts of a url into an array. How to use the above function? How to parse the object?